Historic Huntridge Park, nestled in the heart of downtown Las Vegas, centered between one of the busiest intersections of Charleston Boulevard and Maryland Parkway, has been the center of debate and controversy for years. 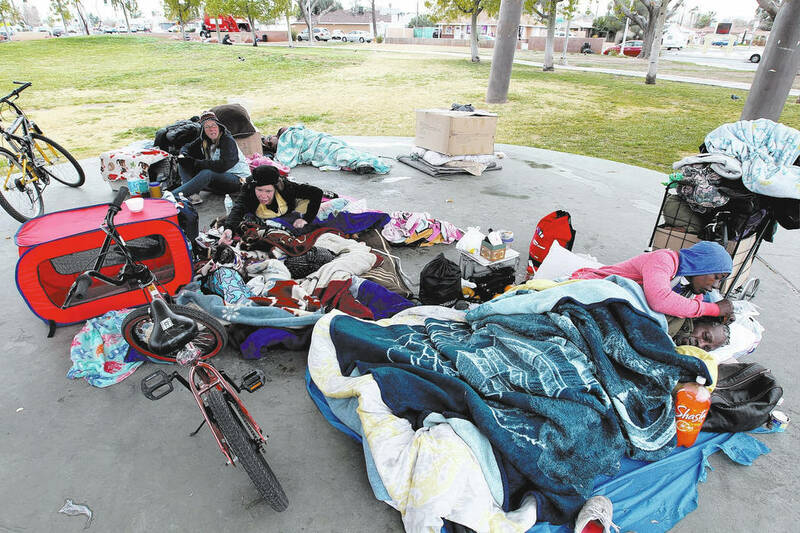 I am no stranger to the challenges and obstacles that have faced the surrounding neighborhood as it relates to homeless groups who call the park their first home. For years, the city has grappled with what to do with the park while keeping an equitable use between homeowners and our most vulnerable. We learned earlier this month that an 80-year-old resident named Shevaun was brutally and savagely assaulted and shot in her home, one block from Huntridge Park. Neighbors have stated that the suspect, who has since been arrested and charged, was a known resident of Huntridge Park. I am not generalizing about the homeless being violent. We must, however, work to weed out those who may do the community harm. Huntridge Park, whether fortunate or not, has been the epicenter for outreach groups that offer free meals and other services. Many in the area have cited this as the cause for the sharp increase in the park’s homeless population. As a former city parks commissioner, I always struggled with this predicament and always stated the following: While the intention is good and humane, we must encourage outreach but change the outreach location. For years, the city of Las Vegas has offered locations in downtown that are well-equipped, well-stocked and appropriate places where folks could get long-term solutions for their long-term problems. I’m afraid the park or the city sidewalk is not the appropriate location. The increase in serious issues at Huntridge Park has been clear, and continued encounters with exposed needles, human waste and public bathing have yet to cease. Crime in Huntridge Park must become a top priority. Residents don’t need to attend police briefings to see Huntridge Park struggling. Friends, we need decisive action, and we need it now. There is no magic wand to solve the problem. During my years as a parks commissioner, however, I made certain that our city’s deputy marshals made their rounds in the park. They made their presence known not only for the safety of nearby homeowners, but also for those in our indigent community. Unfortunately, troubles have continued to simmer. With the rise of bike chop shops, public bathing, alcohol use and indecent exposure, we must do more. I am calling for city officials to re-evaluate Huntridge Park’s hours. Perhaps we could limit the days it is open and look into a public/private partnership program, as they do in San Diego. This would give the community more flexibility as to what happens at the park. In addition to this, as painful as this is for me to say, I call on the city to temporarily close Huntridge Park until our neighborhood associations, coupled with city staff, determine a way to mitigate the problem. The community needs a breather to evaluate our situation. If the park is closed, we will slowly but surely encourage our most vulnerable to seek help elsewhere. We must be decisive and firm in assisting our most vulnerable into seeking long-term help at the appropriate facilities. What took place earlier this month to Shevaun is depraved and incomprehensible. The community is outraged. But outrage must be met with solutions. Otherwise words evaporate. As 2019 approaches, I look forward to the completion of the city’s new homeless campus located on Foremaster Lane and Main Street. But with regard to Huntridge Park, we must act before violence and insecurity become the norm. David Lopez is a former member of the Las Vegas Parks and Recreation Advisory Commission.